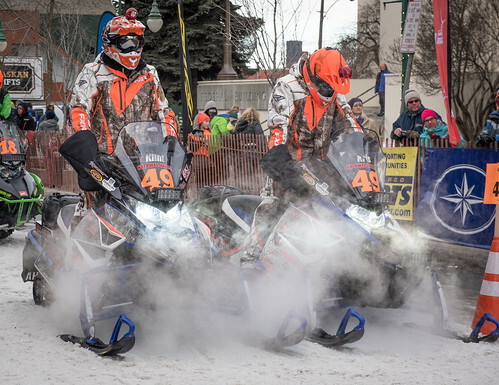 THE IRON DOG SNOWMACHINE RACE is an unforgiving challenge for even the toughest of riders. But for those who have crossed that finish line – or have been beaten back and now can’t resist the challenge of chasing that dream – it’s a race that is a bit addictive, too. That’s why race organizers stress – beyond winning, money, name recognition or any other prize – safety. 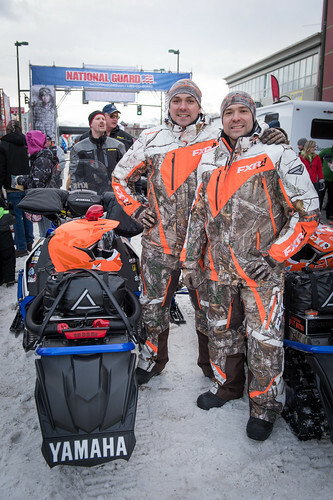 Sponsors of Iron Dog reiterate that tenet, too, said John Woodbury, Iron Dog’s executive director. One of the best ways to be safe is to be prepared, and that’s what the Donlin Gold Safety Expo is all about. Here is where all of the sled and gear inspections take place, and where lay-spectators can gain a true appreciation of what all is needed to traverse Alaska’s wilds by snowmachine. 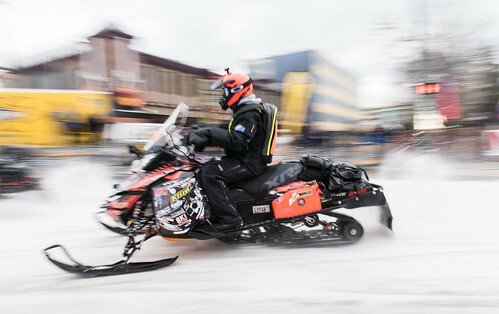 Did you know, for instance, that there are more than 30 required items that racers must carry or use, including 25 feet of 1,200-pound test rope, arctic stove with fuel, fire-starting materials, backup eye and face protection, and an assortment of spare parts for the sled. 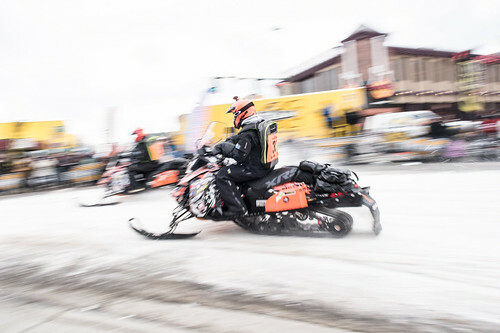 From the moment the racers leave the chute at Deshka Landing, until they are safely at the finish in Fairbanks, there are countless ways in which they put themselves at risk – and the Safety Expo helps reiterate the ways in which they can stay safe. It’s the Donlin way, Woodbury said. 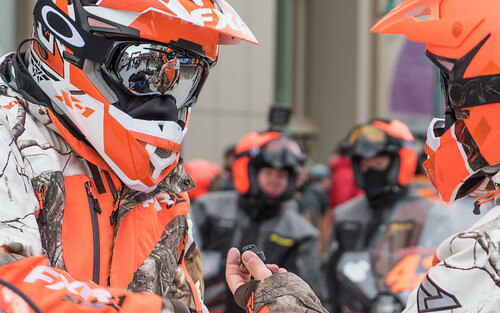 The safety message is consistently delivered and ever evolving when or if the need arises, said Iron Dog’s Sarah Miller, one of the lead coordinators behind the annual race. 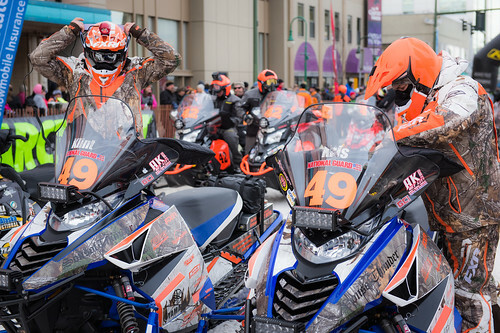 “If there are any areas we are unsure of, the race marshals will dictate a mandatory race route to keep all riders as safe as possible on the trail,” she added. 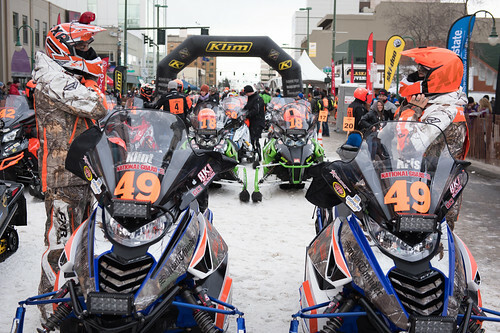 Woodbury said trail crews are keeping a watchful eye on race conditions to ensure smooth sailing – or as smooth as a cross Alaska fast-speed chase can be expected to go – ahead. 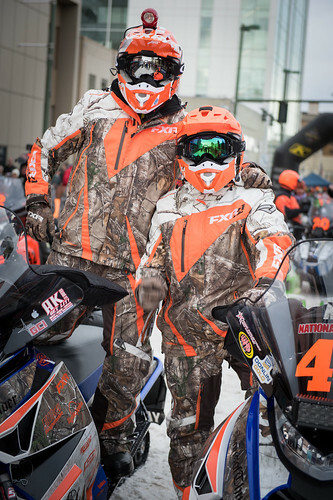 And, while safety is the overriding theme of the Expo – it also is meant to be a prerace celebration of the days to come. To add to the festivities, organizers will have special deals, Iron Dog gear and the annual raffle ticket sale, which this year awards a half acre of land at Point Mackenzie and a tiny home for the winning ticket holder (not to mention a long list of additional prizes – see our story on this page for more). Tickets are $60 and winners will be announced April 2. VENDORS: Donlin Gold, Rain Proof Roofi ng, Monster, City of Wasilla, Alaska Spine Institute, Johnson Investments, Spenard Builders Supply, Hatcher Pass Polaris, White Spruce Trailer Sales, Alaska Specialty Equipment – Bailey’s, Team CC, Amsoil, KLIM, Guardian Flight, Army Reserves, LifeMed, ABC RV, Woody’s, Subway, Lead Dog Helmet Lights, Helmets on Heads and many more!